This year marks the 20th anniversary of Hermetic Library's birth on December 3, 1996! 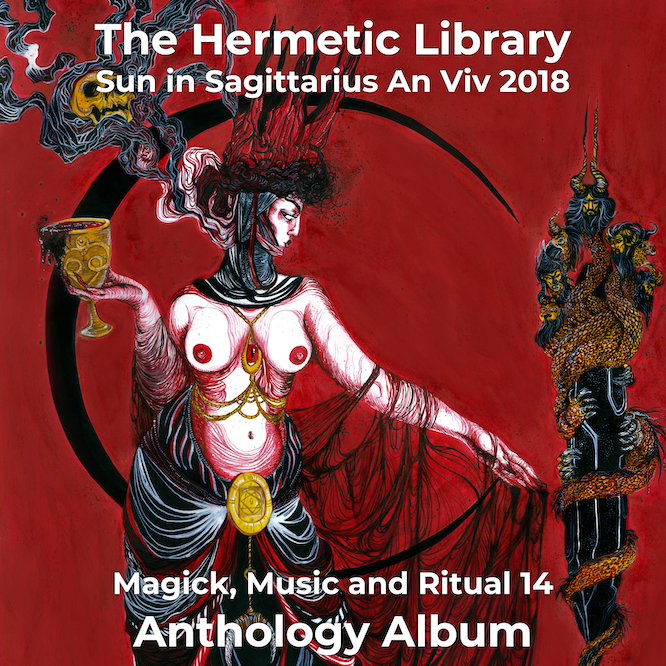 The best way to add this anthology, as well as previous releases and future Hermetic Library albums, to your personal music collection is through the Patron campaign at Patreon. New Patrons receive a gratis download code for a previous anthology release of their choice in addition to all the other patronage rewards they may receive. Further, active Patrons also receive an additional gratis download code for every new release as they become available. Patrons in 2016 as of this release will have had the opportunity to receive at least two full anthology albums from the collection, and more in the future, as well as helping to support the Anthology Project and the work of the library. Consider becoming a Patron today! This twelfth Anthology Album from the Anthology Project has been a monster to put together, but also lots of fun for me. In addition to an open call for submissions, I got in contact with as many of the artists as I could from all previous releases. So many artists have returned to participate again that I've been overwhelmed by their generosity, and have enjoyed getting back in touch with them all. Hermetic Library's 20th anniversary of its birth, is a giant milestone. I've found myself reflecting on the fact that many websites don't even last a year, and entire online empires crumble in less than a decade. For the library to survive for 20 years is really amazing, but even more so when compared to the life of most sites online. Some of the archived materials from other sites weren't online more than a fraction of how long they've been archived at the library! September of 2016 also marked the 7th anniversary of when I took over the site as the new caretaker, as the librarian. I am incredibly grateful for the chance to be of service, and, while there's certainly been lows as well as highs, I believe I've been able to maintain and improve the site with careful, reasonable, and appropriate authority and responsibility. I started out a student among students, and believe I still maintain that relationship to the guests, colleagues, supporters and Patrons, who follow along, participate in, and help make possible all of this work I've been doing on the library project. Here's to another 20 years for the library, and, may I be so lucky, another 7 for me as librarian! Thank you for the opportunity to be of service! Huzzah!